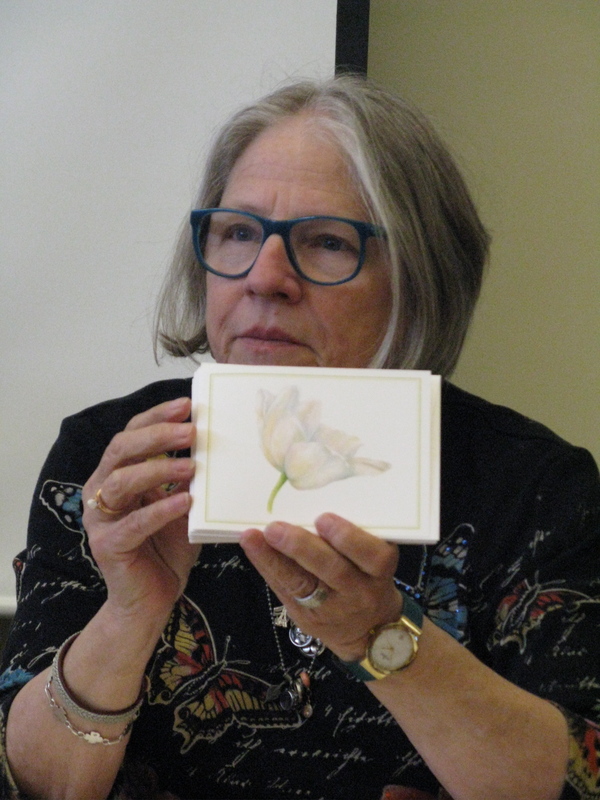 On April 12, members of the Great River Chapter assembled at the St Louis Park Library for a panel discussion concerning the artistic, technical and practical aspects involved in reproducing artwork for cards and prints. Panelists Marion Adcock, Vicki Barth, Faith Clover and Kathy Franzen spoke in detail of their experiences and shared samples of their printed work. Subjects covered included scanning, printing and marketing, with a host of suggested sources for everything from cardstock to calendar cases and some good recommendations on scanning and printing businesses. We got an “insiders” view of the technical aspects of graphic design and pointers on marketing through websites and art fairs. Unforseen circumstances prevented the participation of Eric Rectenwald, proprieter of The Lab Digital Production, however he was able to offer a “make-up” session. which was held on May 24 at his shop in northeast Minneapolis. He gave an extensive tour highlighting an impressive array of high-tech digital reproduction equipment. Using the artwork of one of our members, there was an on-screen demonstration of the process, including all the fine-tuning required to get a quality scan that is true to the original art. Eric and his associate John then offered to make a scan and a proof print of one artwork from each person present. It was a fascinating presentation which likely will be offered again in the future.